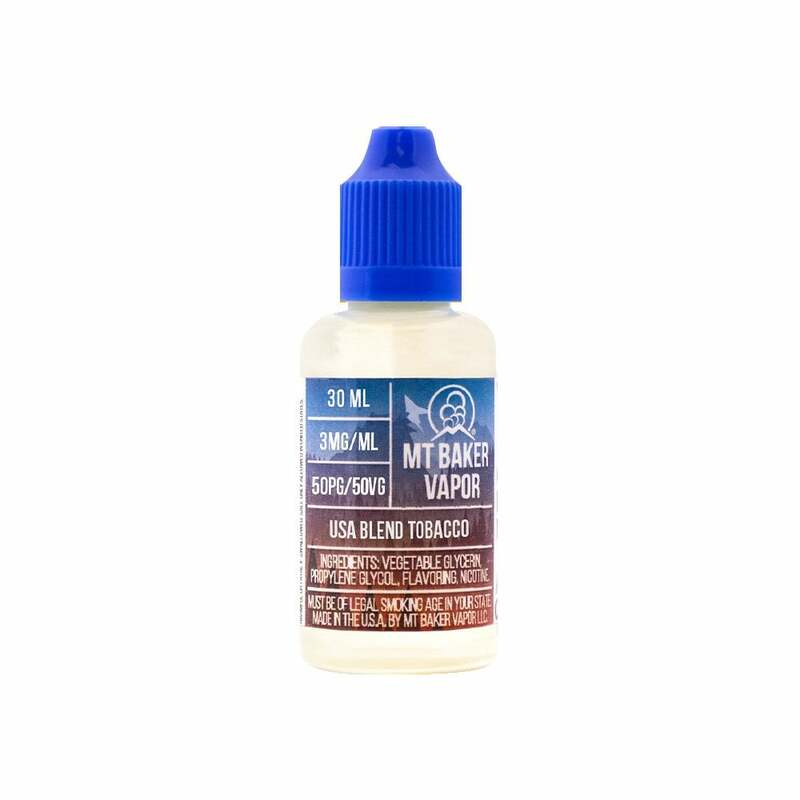 USA Blend Tobacco by Mt Baker Vapor is a flavorful blend inspired by USA tobaccos; light, sweet and very smooth. Super, sickly sweet. I’m going to try to mix it with other flavors but if that doesn’t work, I’ll just throw it out. It’s cheap and I got what I paid for. Great flavor,very consistent, smooth draw, no after taste. Smooth and mellow with a touch of sweet. No harshness at all. Will definitely buy again. The only downside is they don't have traditional tobacco flavor only sweet which isn't a really good smell. Very smooth. Great juice for the price. I wish they offered a regular tobacco flavor instead of sweet tobacco. Otherwise, I really like their product. This one was worse tasting the the other. I like this product a lot and love the price. I wish they had regular tobacco and not just sweet tobacco flavor with the 5 for $30 price tag. Tastes like tobacco, not sweet at all. Great taste. Great price. Telling my friends and family try it you will like it. I like it. It is a great price and decent taste. I would definitely buy it again. This is a "medium" tobacco flavor (think marlboro red) and I can taste hints of caramel. For me I like to mix this with Vanilla tobacco flavor for a real "RY4" type of flavor.